Betway is owned and operated by Carmen Media Group Ltd, one of the biggest providers of online gaming in the world. It is licensed and regulated in Great Britain by the UK Gambling Commission. 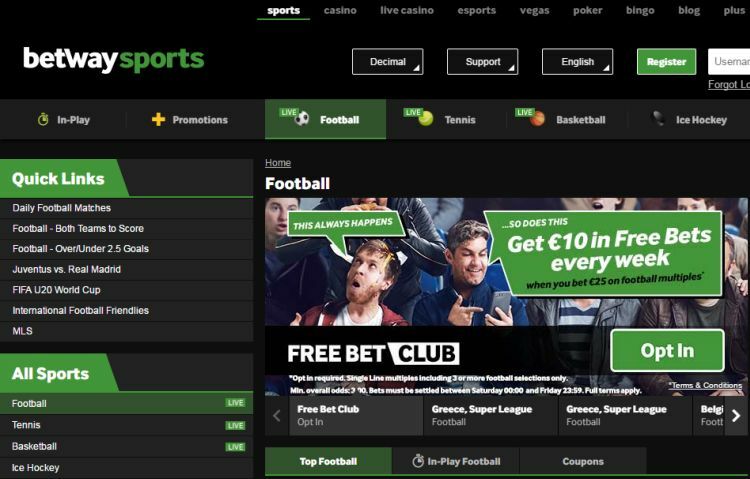 It is one of the larger online bookmakers in the world, with currently close to 5 million visits per month. A broad range of markets is offered, and the site has some great features such as a very easy to use cash out option. The website is very user-friendly, fast and easy to navigate. The odds of Betway are around average for the UK football competitions and the major European competitions (see further below). 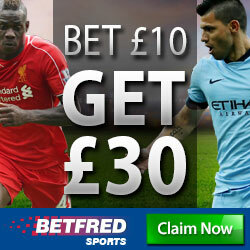 If you only wager in the English Premier League or the Champions League, this is a very attractive bookmaker. 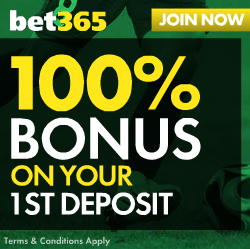 New customers get a 100% bonus up to £€30. This is a general overlook of Betway’s odds on the most important markets. The odds of the UK Football competitions are around the market average, with payout ratios in the range of 94%-96% (dependent on when the bet is placed). LIVE betting is average: Betway odds on Live Betting generate a payout ratio of around 94% for all football markets. Although the odds are not bad, they are not excellent either. Unless you play for lower amounts, it is worthwhile to look around for alternatives. Champions League odds are fair and 96% when you bet the day before the match or on the day of the game. The odds for the 4 big European competitions (German Bundesliga, Italian Serie A, Spanish Primera Division and French Ligue 1) are around average, with payout ratios in the range of 94%-96%. For the 2nd tier European competitions (Turkish Super League, Dutch Eredivisie, Belgian Eerste Klasse and the Portuguese Primera Liga), the odds have payout ratios of 92%-94%. We do recommend to look for other bookmakers if you wager high amounts or if you play ACCAs. This is, in particular, the case for the 2nd tier European competitions. Tennis odds are around market average (payout ratios of 94%-95%). LIVE betting odds are around 93% and slightly below market average. Snooker and Darts odds are in line with the market average. Rugby Union odds are better than average. It pays off to bet 1 day before the match or on matchday. Aussie Rules payout ratios are clearly much lower than the market average. The chart below provides a summary of the payout ratios we have calculated for you. Please note: these are for 1×2 bets only. 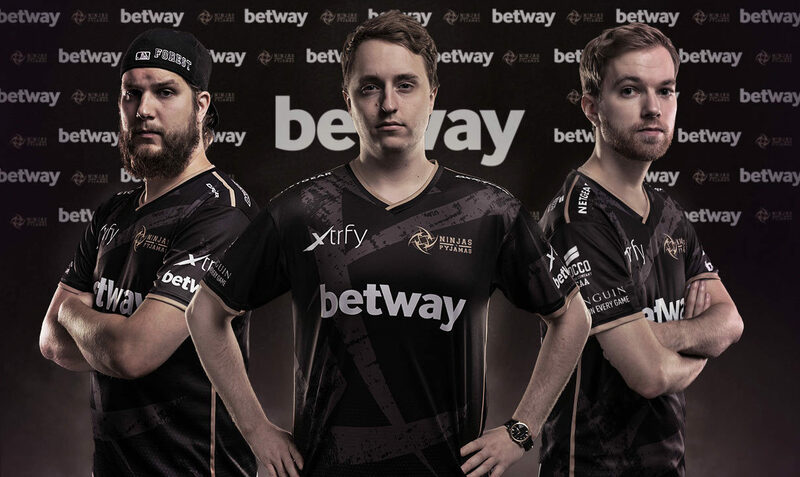 The payout ratios of other bets (such as Asian Handicap, Over/Under or Both Teams to Score) are provided on our Betway Odds Analysis Page. The chart below shows the payout ratios we have calculated for you. These are for 1×2 bets or Home/Away bets. More details, including a comparison with the market average, are provided on Betway Odds Analysis Page. Sponsors several sporting events, such as the Premier League of Darts and West Ham United. Betway is a solid, trustworthy choice if you are looking for a customer friendly bookmaker. The odds are around market average.